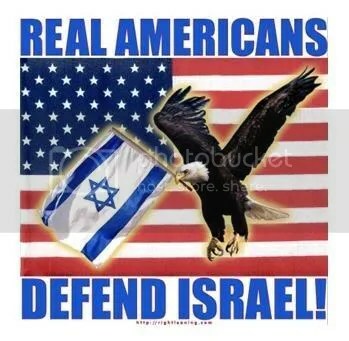 History is being rewritten daily thanks to alternative media news sources bringing to light the mass propaganda of false history and disclosing truths hidden for decades and centuries. My son’s 3rd grade class was discussing Columbus in class this week. I pick him up each day to “deprogram” him from the public indoctrination system. When I asked him what he had learned about Mr. Columbus, he said that school taught that one of his ships had sunk off an island. I said, “that’s it?” and he said “yes”. 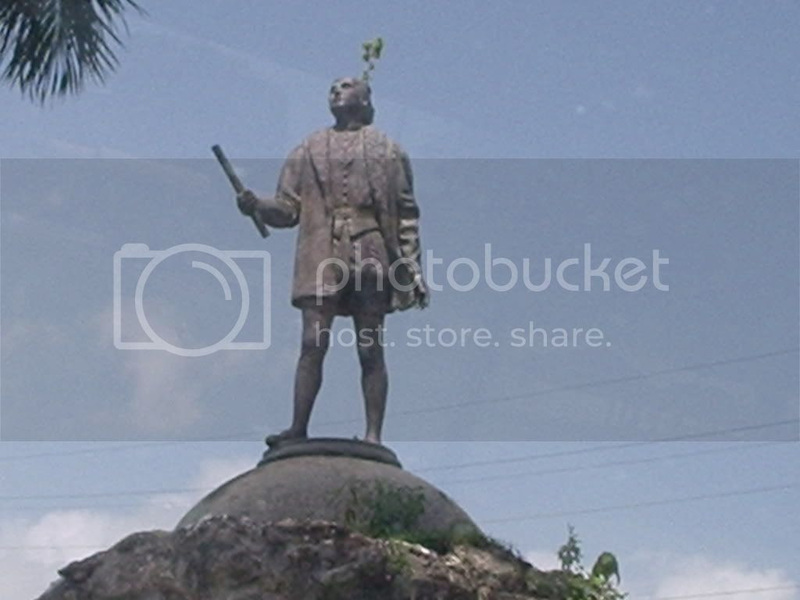 I then looked at his homework and it included the Scholastic magazine which featured Columbus and sure enough, the article only said he had made it only to an island name Haiti. 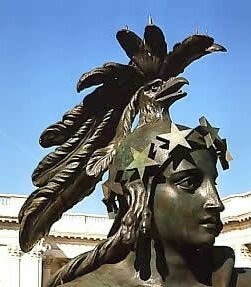 Over a dozen states no longer recognize Columbus Day, a creation of the Knights of Columbus back in 1934. Even edgy Mainstream whorporate news is revising history now as truths become known as to the barbaric history of our country’s “founding” when we genocided over 97% of the Indian population in conquest and brought millions of slaves across the Atlantic to work in the cotton and tobacco fields of the wealthy with names like Jefferson, Washington, Adams, etc. His Virginia plantation, Mount Vernon, consisted of five separate farms on 8,000 acres of prime farmland, run by more than 300 slaves. His wife, Martha Washington, inherited significant property from her father. Washington made well more than subsequent presidents: his salary was 2% of the total U.S. budget in 1789. Jefferson was left 3,000 acres and several dozen slaves by his father. Monticello, his home on a 5,000-acre plantation in Virginia, was one of the architectural wonders of its time. He made considerable money in various political positions before becoming president, but was mired in debt towards the end of his life. Now these richest of the new country land baron’s of the time were really interested in freedom for all of We the People as they pushed natives into reservations on the worst land possible and took slaves willingly to run their business’? When they were done with the “most important document in history”, the U.S. Constitution, they gave rights to only 7% of the population; White, Male and Puritan land owners. It took 75 years later for minorities to even get the right to vote and 120 years for women and now corporations of the wealthy run this country. The truth is the barbaric ways of old Europe just morphed into new overlords who broke away from the King and Church to form their own Kingdoms and used deception and fraud to sell it to the masses. 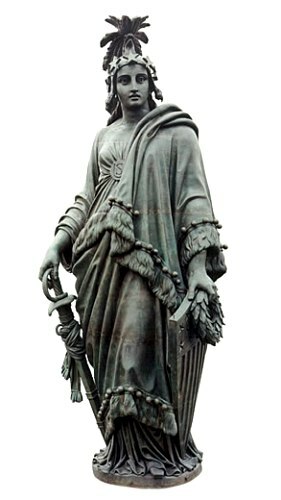 The United States “for” America, lower case, as it was originally written, is what we think of when we cite the U.S. constitution and its amendments. Also, we refer to the USA as “America”, completely undefined as to if we are speaking about North, South or Central America to further obfuscate the deception of who are owners really are. People cannot say that they did not receive Notice. Notice is given sometimes by books or movies such as the “Wizard of Oz” (1939), “The Matrix” (1998), “‘V’ for Vendetta,” (March 17, 2006) and “The Truman Show” (1998) staring Jim Carrey whereby Truman (Carrey)discovers the Truth and finds a way out of the corporation that intended to take care of all his needs from cradle to grave in exchange for his life in the fiction world. Right on, Dorothy. After the bankruptcy, Kansas was no longer “Kansas”, but now “KS”, an artificial corporate venue of the bankrupt US, a newly established “federal territory”, and part of the “Federal Zone”. Dorothy and Toto were “in this state”, which according to Redemption in Law, implies they were for tax jurisdiction purposes in the “District of Columbia” (aka “United States”) — whereas Kansas is not included in “this state”, “KS” is. hypno- word-forming element meaning “sleep,” from Greek hypno-, comb. form of hypnos “sleep” (see somnolence). hype (n.) “excessive or misleading publicity or advertising,” 1967, American English (the verb is attested from 1937), probably in part a back-formation of hyperbole, but also from underworld slang sense “swindle by overcharging or short-changing” (1926), a back-formation of hyper “short-change con man” (1914), from prefix hyper- meaning “over, to excess.” Also possibly influenced by drug addicts’ slang hype, 1913 shortening of hypodermic needle. Related: Hyped; hyping. In early 18c., hyp “morbid depression of the spirits” was colloquial for hypochondria (usually as the hyp or the hyps). hypo- word-forming element meaning “under, beneath” (in chemistry, indicating a lesser oxidation), from hypo-, comb. form of Greek hypo (prep. and adverb) “under,” from PIE *upo- “under, up from under, over” (see sub-). (must read to understand how the shadow government has been working on Ebola vaccines since 2003) also see here to learn how absurd all the vaccine claims have been to reality and how much money Big Pharma has made on vaccine hype. Along with sovereign debt defaults and social unrest there needs to be additional events leading into and acting as causative factors in any economic collapse or transition. A global quarantine to fight the Ebola outbreak would offer such a factor. There are many questionable matters surrounding this outbreak, none more so than the movement of patients around the world. This goes against Quarantine 101 measures to battle lethal pathogens such as Ebola. Out of Africa Redux! AIDS allegedly came out of monkey virus contamination out of Africa, now Ebola. Many vaccines contain monkey virus (read here). ‘George Soros’s foundation funds the Kenema bioweapons lab at the focus of the Ebola outbreak, and which is about to be closed, apparently amid an investigation. The CDC Ebola fact sheet admits on the very first page that clinics and hospitals are “frequently” the places of Ebola outbreaks. The CDC fact sheet also states that the first ever Ebola deaths in 1976 were caused by ” …(close personal contact and by use of contaminated needles and syringes in) hospitals/clinics” . 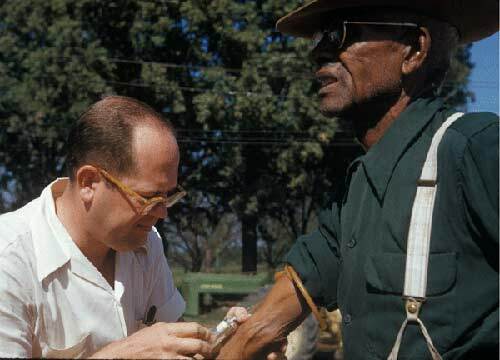 In the second ever Ebola outbreak in 1976 in Sudan killing 151 people, the “Disease was spread mainly through close personal contact within hospitals,” says the CDC in language which could not be plainer. McCoy prefers, however, to misrepresent the dry facts concerning Ebola originating in hospitals, which everyone can read online, to excite fear in readers with entertaining theories. His own report quickly spirals downwards by attributing the current Ebola outbreak to deforestation while providing no evidence. The CDC, a private corporation operating with a government charter, owns the patent on Ebola. This would only be possible if Ebola had already mutated from its original state. This means that it was more than likely weaponized. Maybe we should ask the boys at Ft. Dietrich how that could happen? Having the CDC oversee the diagnosis, institute mythical containment procedures and subsequent treatment is like having the fox watch the henhouse. Because the CDC owns the patent to Ebola and all strains within 70% of the original pathogen, they will make money on all treatment of Ebola through royalties because treatment would constitute a violation of their intellectual property rights under US patent law. 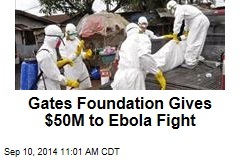 The inescapable conclusion is that the CDC will make money on the spread of Ebola throughout the United States. If this is such an outrageous allegation, then I publicly call on the CDC to renounce all claims to intellectual property rights on Ebola and any resulting treatments. I make the same challenge to the NIH who owns the patent on the 8 year old vaccine for Ebola created by Crucell. Why would a government organization claim to have “invented” this infectious disease and then claim a monopoly over its exploitation for commercial use? It is clear that the CDC plans to claim royalties on Ebola vaccines. This certainly increases the likelihood that the vaccines will become mandatory, thus increasing the profit potential for the patent holders. Clearly, Ebola is man made and this patent proves this contention. Why does the CDC need to own the patent on Ebola? 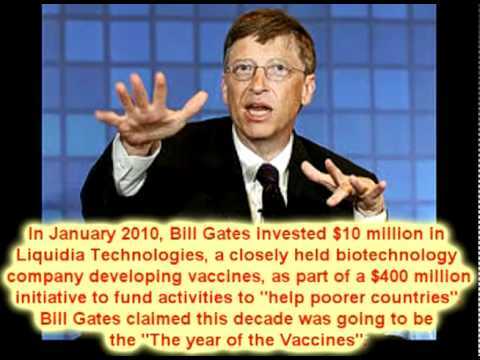 Perhaps, we should ask Bill Gates why he is donating $50 million to the UN and the CDC in the name of fighting Ebola (see video below). The CDC has partners in the fight against Ebola, namely, Crucell, the National Institute of Health (NIH) and the U.S. Army Medical Research Institute of Infectious Diseases (USAMRIID) and, of course, Bill and Melinda Gates. In a study led by the U.S. Army Medical Research Institute for Infectious Diseases and published in Science Translational Medicine, 43 percent, or three out of seven infected monkeys, recovered in 104 to 120 hours after intravenous treatment. The study also included the use of a USAMRIID-developed method used to diagnose Ebola infection. A diagnostic tool is typically required by the U.S. Food and Drug Administration as part of its approval process for therapeutics, said Dr. Gene Olinger, a USAMRIID virologist who helped lead the study. The study follows a one completed last year that showed the treatment — called MB-003 — protected 100 percent of the animals when given one hour after exposure. Two-thirds of the animals survived when treated 48 hours after exposure. 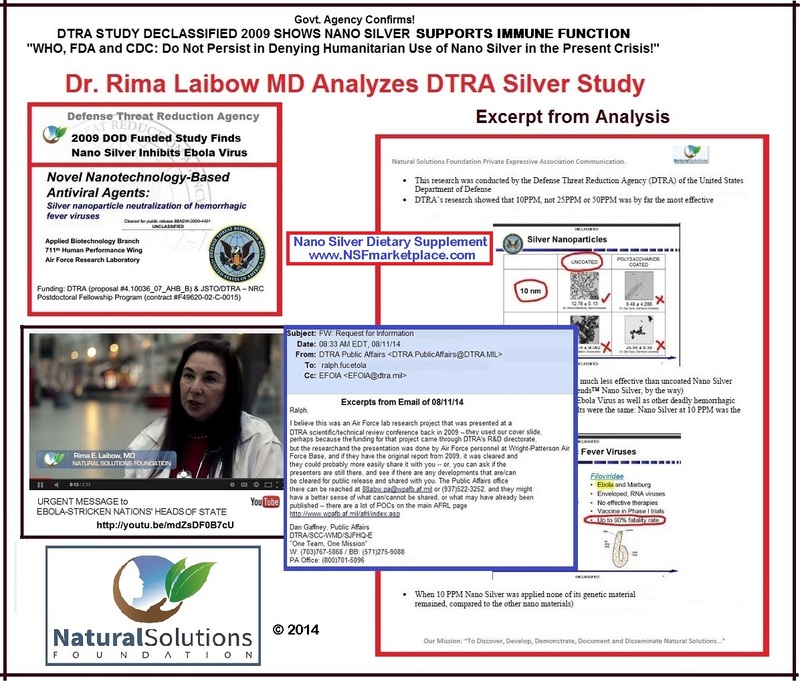 Leaving aside the World Health Agency and all associated laboratories and research institutions, I find it impossible to believe that the US Government’s Defense Threat Reduction Agency (DFRA, Defense Department) and United States Army Medical Research Institue of Infectious Diseases (USAMRIID) two agencies with large budgets publishing nearly 100 scientific papers on Ebola and its treatment since 2000, could not come up with a cure, prevention or treatment for it. Oh! Wait! They DID come up with a cure, prevention and treatment for it: 10 PPM Nano Silver. That’s right! OOPS! 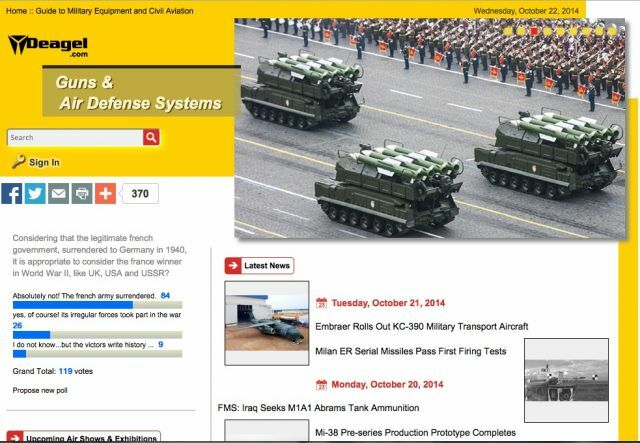 US Government, WHO and their associated minions are lying! Again! And the kill rate for this disease of convenience, genetically engineered to be more deadly than ever before, just happens, I am sure coincidentally, to be the exact number depopulationists like Bill Gates and George Soros have wet dreams about: 90%. Please Download, copy, share and forward this Infographic! 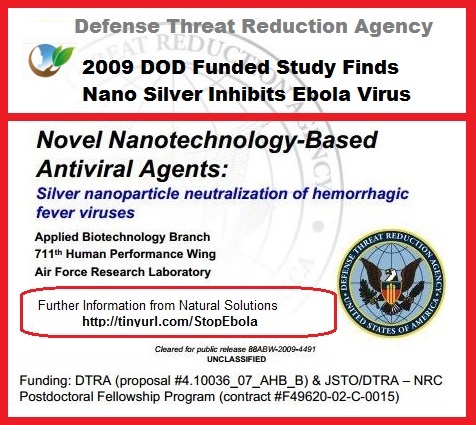 The US government study (declassified in 2009) which showed definitively that Nano Silver at 10PPM IS the definitive prevention and therapy for Ebola virus “somehow” got “overlooked”. We do not know how long before that the work actually took place. But the US civilian authorities knew not later than 2009 that there is a cure, treatment and prevention for Ebola virus. At the end of this article is a section called “What They Forgot to Tell Us”discussing that research in detail. It lays out the specific findings of the 24 people on the research team that discovered what may be, in terms of stopping this intentional pandemic, the greatest story never told. Around 20 years ago the seed was planted for this operation by way of mass market publications and cinema entertainment. In March of 1995 the movie Outbreak was released and instilled the initial fear of a hemorrhagic fever epidemic in small town America. Five months later in August 1995 the book titled The Hot Zone written by Richard Preston was released and quickly became a New York Times Bestseller. At the beginning of the book the author thanks the Alfred P. Sloan Foundation for a research grant. Alfred P. Sloan was a Nazi collaborator. The obvious connections between the eugenics movement which was started in America and exported to Nazi Germany, and then exported back to America and eventually became the Human Genome Project, and the depopulation agenda of the world’s institutions, including top scientists calling for a 90% reduction in the population by using an airborne Ebola virus, and the research grant issued for the publication of such a book, will be left to the astute reader for further research. Further social engineering continued over the years through numerous virus pandemic movies ending with the latest Dawn of the Planet of the Apes. Like the western population was carefully prepared for terrorists attacks by such movies as The Siege, when an attack finally came in New York, the population had already assimilated the proper social meme to respond as required. The same is now happening with this Ebola outbreak. The United Nations is preparing the world for an overt admission that Ebola is airborne. Anthony Banbury, the United Nations’ Ebola response chief warned of the “nightmare scenario” that Ebola is possibly now, and probably soon will be an airborne pathogen. This is precisely what I reported when I cited several peer review studies which demonstrated that Ebola was already known, by many researchers in the scientific community, to be airborne. The following was on the CDC website in early September and this is the mantra that the mainstream media is parroting as the “official and irrefutable doctrine of science”. The following represents the present position on how Ebola is spread by the CDC. “Ebola is killed with hospital-grade disinfectants (such as household bleach). Ebola on dried on surfaces such as doorknobs and countertops can survive for several hours; however, virus in body fluids (such as blood) can survive up to several days at room temperature. If a symptomatic patient with Ebola coughs or sneezes on someone, and saliva or mucus come into contact with that person’s eyes, nose or mouth, these fluids may transmit the disease. The CDC released a very hastily prepared advisory entitled Interim Guidance about Ebola Virus Infection for Airline Flight Crews, Cleaning Personnel, and Cargo Personnel. This smoking gun document reveals that the CDC is clearly concerned about likely airborne contamination of Ebola. The CDC urges airline staff to provide surgical masks to potential Ebola victims in order “to reduce the number of droplets expelled into the air by talking, sneezing, or coughing”. The phrase “expelled into the air means that there is clearly the existence of the “airborne transmission of Ebola “. Of course, the aforementioned facts do not constitute new revelations to the CDC and the NIH. On May 8, 2002, over 12 years ago, a National Institute of Health publication stated that airborne transmission of Ebola “cannot be ruled out”. And for 12 years, the CDC has been publishing lies to the contrary. The Military Commissions Act of 2006, rammed through Congress just before the 2006 midterm elections, allows for the indefinite imprisonment of anyone who donates money to a charity that turns up on a list of “terrorist” organizations, or who speaks out against the government’s policies. The law calls for secret trials for citizens and noncitizens alike. Also in 2007, the White House quietly issued National Security Presidential Directive 51 (NSPD-51), to ensure “continuity of government” in the event of what the document vaguely calls a “catastrophic emergency.” Should the president determine that such an emergency has occurred, he and he alone is empowered to do whatever he deems necessary to ensure “continuity of government.” This could include everything from canceling elections to suspending the Constitution to launching a nuclear attack. Congress has yet to hold a single hearing on NSPD-51. Within weeks after the tragic events of Sept. 11, 2001, the Centers for Disease Control and Prevention (CDC) began promoting health policy legislation that dramatically suspends civil rights during declared state of biological emergency. In this case, physicians, assisted by police, will be required to perform state medical examinations and tests. Under the law, “infectious diseases” are very broadly defined. “An infectious disease may, or may not, be transmissible from person to person, animal to person, or insect to person,” the authors explain in the text. Section 504 of the Act details vaccination and treatment protocols. Following these mandates, public health authorities may compel people to be inoculated and/or drugged with any medicaments selected by the state. Individuals refusing to be vaccinated or treated would be liable for a misdemeanor, subject to police arrest, isolation or quarantine. 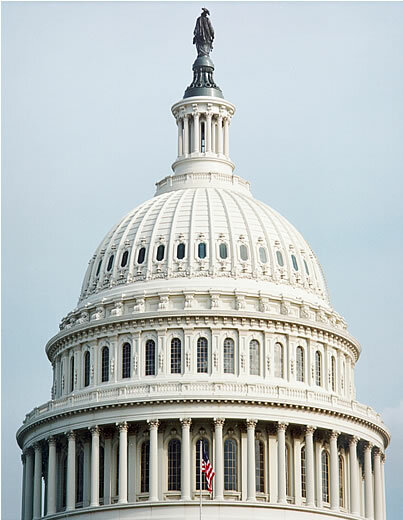 Section 807 repeals existing state laws that are in conflict with the Act. Under this part, for instance, previous laws granting medical, religious, or philosophical exemptions to vaccination would be repealed. The laws do not depend on either a contagious disease being present or on proof of any emergency, only on the declaration of an emergency. [Sections quoted below come from “Model Emergency Health Powers Act (MEHPA) Turns Governors into Dictators” by Joseph Mercola unless otherwise indicated.] If the State does more harm than good through unfettered use of its draconian power, it can rely on the state immunity clause: “Neither the State, its political subdivisions, nor, except in cases of gross negligence or willful misconduct, the Governor, the public health authority, or any other State official referenced in this Act, is liable for the death of or any injury to persons, or damage to property, as a result of complying with or attempting to comply with this Act or any rule or regulations promulgated pursuant to this Act.” Article VIII Section 804. Note that the law would grant certain immunities even for deaths improperly caused, and allows such immunity even for advisors who made recommendations based on conflicts of interest. Beginning first with the health side, and with more detail, the laws include forced diagnostic testing (unlimited in character), forced taking of bodily samples (unlimited as to what is taken), forced unknown, untested “medical” treatments, forced decontamination with unknown, untested chemicals, and forced unknown, untested vaccines. Pulled from any context of “emergency,” this comprises two things, description of forced medical experimentation on anyone in Wisconsin (or any other state) and criminal physical assault. Refusal can include imprisonment. The laws overturn all exemptions for vaccines, even medical exemptions that were given to protect people allergic to them who would die if given them. The laws replaced long-standing constitutional public health laws that included the option to self-quarantine, the historic and most relied upon of public health options in an epidemic. Instead, quarantining would be forced and into public facilities if someone refuses to submit to intimate and potentially life-threatening physical assault. Under the CDC promoted state health power laws, quarantine is indistinguishable from imprisonment for not complying with forced medical procedures – procedures based on no proven medical emergency and not requiring an infectious disease even exist. Anyone refusing these state-forced medical actions, could be herded together in detainment centers or prison, ideal setting for spreading disease and terrible settings for medical help if one becomes infected there. Article V Section 504(b). Although it might in some circumstances be prudent and justified to quarantine a person who refuses immunization during an outbreak, it is tyrannical to criminalize the medical choice to decline a treatment. An immunization or treatment might well cause serious harm to certain individuals even if the public health authority does not recognize that it is “reasonably likely” to lead to “serious harm”-another two important undefined terms. Article V Section 504(a)(4). The Act gives the public health authority the right to isolate or quarantine a person on an ex parte court order, with no hearing for at least 72 hours. If the public health authority decides that an unvaccinated person is a risk to others, even if uninfected, he could be quarantined. Article V Section 503(e). It is quite possible that public health authorities could force such a person from his home to a place of quarantine, where he will be exposed to infected persons. Such places shall be maintained in a safe and hygienic manner “to the extent possible,” and “all reasonable means shall be taken to prevent the transmission of infection among isolated or quarantined individuals.” Article V Section 503(a). The Act itself thus implies that an uninfected person is at risk by being placed in such a facility; it is quite likely that he could be at greater risk than if he had the freedom to protect himself as he saw fit. It is assumed that public health authorities will be “reasonable”; however, this assumption is questionable. How would the emergency that would trigger any of this be declared? How is it defined? Declaring an Emergency: Under this Act, any Governor could appoint himself dictator by declaring a “public health emergency.” He doesn’t even have to consult anyone. The Act requires that he “shall consult with the public health authority,” but “nothing in the duty to consult … shall be construed to limit the Governor’s authority to act without such consultation when the situation calls for prompt and timely action.” The legislature is prohibited from intervening for 60 days, after which it may terminate the state of emergency only by a two-thirds vote of both chambers. (Apparently, it does not have the authority to find that the state of emergency never really existed.) Article III, Section 305(c). What kind of power would the governor have? And under such a law, what limits could be placed on Governor Walker? Taking possession of “communication devices, carriers, real estate, fuels, food, clothing, and health care facilities” describes martial law. Doctors and health workers would be compelled to comply. (Article IV Section 402(b)), except that any physician or other health care provider who refuses to perform medical examination or testing as directed shall be liable for a misdemeanor. Article V Section 502(b). What of legislative laws and funding as an obstacle to putting any of this in place? The Act grants Governors the exclusive power to control the expenditure of funds appropriated for emergencies; the intent and priorities set by the Legislature would be irrelevant. What of constitutional protections in terms of elections and delegation of power? The Governor may delegate powers at his sole discretion to unelected political appointees. On the property side, the mere declaration that a building or property is contaminated would be grounds from destruction of the structure (including by burning) and the appropriation of land, specifically true of farmland, of which Wisconsin has some of the richest in the country. “Compensation shall not be provided for facilities or materials that are closed, evacuated, decontaminated, or destroyed when there is reasonable cause to believe that they may endanger the public health pursuant to Section 401.” Article IV Section 406. The Governor is in charge of determining “reasonable cause.” There is a strong incentive for him to declare any losses to private owners to be noncompensable. “Reasonable cause” might mean “contaminated.” Is the Senate Hart Office Building contaminated with anthrax? Yes. Should it therefore be destroyed, or subjected to fumigation with chemicals that would destroy much of the equipment and furnishings? Most think not. The problem is that given a sufficiently sensitive testing method, everything is probably “contaminated” with almost everything else. Moreover, every testing method has some level of false positives. Rarely noted by those favoring gun control as a means for public safety, Gandhi condemned the seizure of arms as the most terrible thing the British did in their centuries of brutal rule in India. 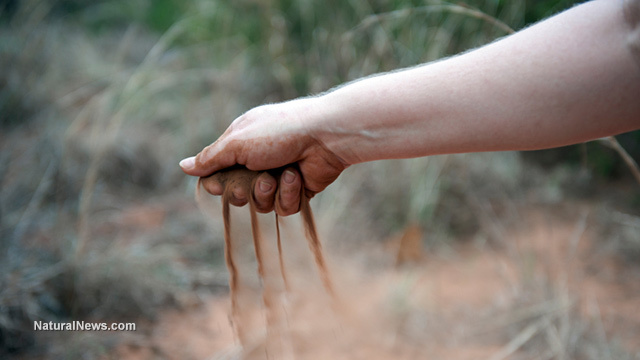 The primary purpose of the Joint Biological Point Detection System (JBPDS) is to limit the effects of biological agent attacks that have the potential for catastrophic effects on U.S. forces at the operational level of war. The JBPDS is intended to provide biological agent point-detection, identification, and sampling capability for both fixed-site and mobile operations. The system is intended to detect biological agents in less than one minute and identify the agents in less than 15 minutes. The Block I version, scheduled for fielding during FY03, is intended to identify ten agents. 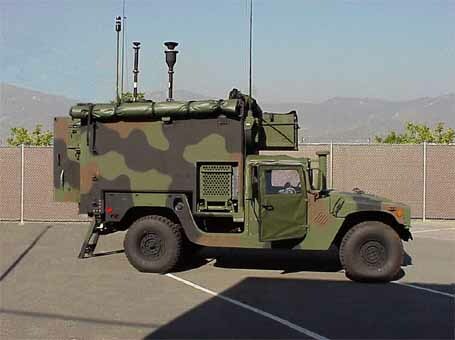 The follow-on Block II version, scheduled for fielding during FY07, will integrate advances in technologies to decrease size, weight, and power requirements, as well as to identify 26 agents. Both block versions are intended to interface with the Joint Warning and Reporting Network (JWARN). NOTE the Date: Published on Apr 11, 2014!!! Let us not forget three related medical facts. 1. 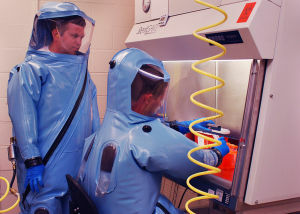 The bioweapons lab at Fort Detrick was the source of the anthrax attack on the US. 2. The CDC which is linked to the Pentagon and has an ugly history, promoted Model State Emergency Health Powers legislation, Bush’s pandemic laws, and then put out stunningly false claims about swine flu infections in 2009 using 80-98% false data. “The 20 to 40 million deaths worldwide from the great 1918 Influenza Pandemic were NOT due to ‘flu’ or a virus, but to pneumonia caused by massive bacterial infection. And as with 9/11, most of what we have been told about the 1918 flu is untrue. Unlike flus ever before (or any diseases now), the 1918 flu showed up simultaneously in distantly scattered places around the world (with no air travel to spread diseases). It started on military bases where vaccines were being given. People have been led to believe that there were no vaccines during the 1918 flu but they gave soldiers a huge number – including against typhoid (which is not contagious), yellow fever, cholera, and many other diseases). “If we check back in history to that 1918 flu period, we will see that it suddenly struck just after the end of World War I when our soldiers were returning home from overseas. That was the first war in which all the known vaccines were forced on all the servicemen. This mish-mash of poison drugs and putrid protein of which the vaccines were composed, caused such widespread disease and death among the soldiers that it was the common talk of the day, that more of our men were being killed by medical shots than by enemy shots from guns. Thousands were invalided home or to military hospitals, as hopeless wrecks, before they ever saw a day of battle. The death and disease rate among the vaccinated soldiers was four times higher than among the unvaccinated civilians. 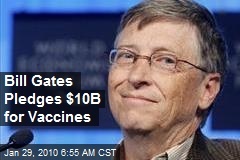 But this did not stop the vaccine promoters. Vaccine has always been big business, and so it was continued doggedly.”It was a shorter war than the vaccine-makers had planned on, only about a year for us, so the vaccine promoters had a lot of unused, spoiling vaccines left over which they wanted to sell at a good profit. So they did what they usually do, they called a meeting behind closed doors, and plotted the whole sordid program, a nationwide (worldwide) vaccination drive using all their vaccines, and telling the people that the soldiers were coming home with many dread diseases contracted in foreign countries and that it was the patriotic duty of every man, woman and child to get “protected” by rushing down to the vaccination centers and having all the shots. …. “The doctors were baffled, and claimed they didnt know what caused the strange and deadly disease, and they certainly had no cure. They should have known the underlying cause was the vaccinations, because the same thing happened to the soldiers after they had their shots at camp. The typhoid fever shots caused a worse form of the disease which they called para-typhoid. Then they tried to suppress the symptoms of that one with a stronger vaccine which caused a still more serious disease which killed and disabled a great many men. The combination of all the poison vaccines fermenting together in the body, caused such violent reactions that they could not cope with the situation. Disaster ran rampant in the camps. Someof the military hospitals were filled with nothing but paralyzed soldiers [Guillaume Barre, as vaccines can cause? ], and they were called war casualties, even before they left American soil. I talked to some of the survivors of that vaccine onslaught when theyre turned home after the war, and they told of the horrors, not of the war itself, and battles, but of the sickness at camp.”The doctors didnt want this massive vaccine disease to reflect on them, so they, agreed among themselves to call it Spanish Influenza. Spain was a far away place and some of the soldiers had been there, so the idea of calling it Spanish Influenza seemed to be a good way to lay the blame on someone else. The Spanish resented having us name the world scourge on them. 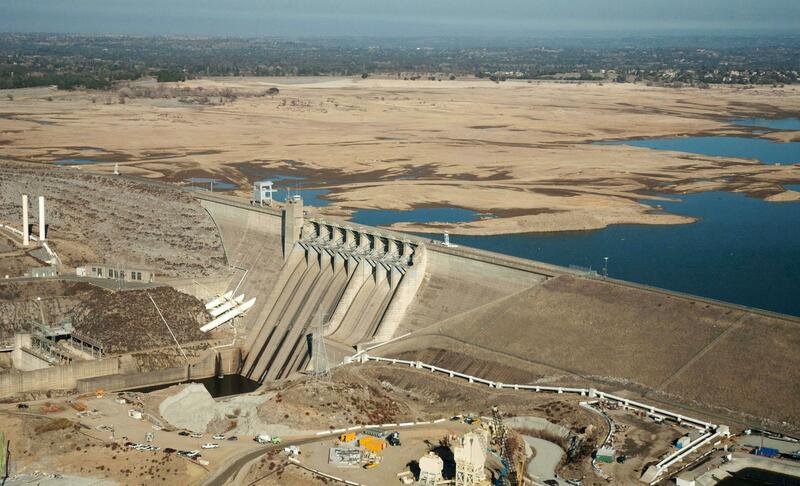 Northern California’s Folsom Lake on January 16, 2014. Way back in February of 2014, the Federal and State governments that control access to CA water supplies off the Sierra Nevada Mountains told the 3300 state water distributors that there would be now water this year. (It was since modified to a 5%allocation.) This was a first and broke a 54-year contract. You can read about it (here). Since then the Central Valley Farmers have lost billions and mass tracts of farm fields have gone fallow, farmers are being put out of business, food prices in May went up the greatest percentage ever (1.7%) and a state bond will be issued after November elections dedicating some $11 Billion of our dollars to build two huge new reservoirs in N. CA and Central CA. to capture more water because the state has presold over 30% of water we had already to customers through contract guarantees. Meanwhile, for the entire summer and into fall, Governor Brown has called for “voluntary” cuts in general for all while golf courses are fully watered, lawns in the ‘burbs look great, car washes still going strong and water is served without request at most restaurants even though we are in, as Brown declares, “The Greatest Drought in the History of California”. Why? Why did he not make rationing mandatory in Spring time, like was done during the drought in CA in 1976? Meanwhile, last May, Cerebus Capital Management, a mega-private corporation in Connecticut bought all Safeway Supermarkets for some $9 Billion. They already owned all the Albertson Supermarkets as well as owning the Freedom Group, the largest owners of guns and ammo in the country. They were also the ones who said they would be divesting out of the gun business after the faked Sandy Hook Shootings. Since the State has known for months and months that the water is not showing up, yet until this week have refused to seriously enforce water conservation, we must assume it is by design. So two weeks previous, CA state legislatures passed two laws to control and regulate all groundwater in CA, claiming we are the only state to not monitor groundwater. Read http://www.ksbw.com/news/central-california/salinas/things-to-know-about-california-groundwater-law/28094860. Now, this week, we see the teeth come out on the Hades dog with mandatory water cuts of 50% per person per day with really big fines for non-compliance. Additionally, they will be using GPS and Google Earth to spy down on our homes to determine compliance and water restriction amounts! Millions of Californians are about to be hit with strict water rationing — daily “allocation” numbers that represent the maximum amount of water you’re allowed to use for any purpose. Households that exceed the allocation limit will face stiff fines of hundreds of dollars per violation. Keep in mind that these are only “stage one” emergency regulations. Stages two and three have yet to be invoked and will only become more severe. The amount of water each household is allowed by water districts will be determined by government employees viewing satellite imagery of private properties, then calculating how much water that property should be allowed to use. “Using census records, aerial photography and satellite imagery, an agency can determine a property’s efficient water usage,” says the SGVT. The indoor water allocation is 50 gallons per person per day and depends upon the number of residents in a home. Water allocated for landscape irrigation depends upon the type of home. As the IRWD website explains, those water consumers who the government deems to be “wasteful” will be charged 160% or higher rates for water consumption. This is on top of the $500 fines for each violation, as has now been approved by the state. The 50 gallons per person per day is the maximum allocated amount for all indoor water use, including laundry, showering, toilet flushing, drinking, washing dishes and hand washing for hygienic purposes. According to the EPA, the average U.S. citizen currently uses 100 gallons per day, with 70 of those gallons consumed indoors. The largest users of indoor water are toilets, showers and clothes washers. Interestingly, the water rationing that’s about to be enforced in California isn’t being called rationing. Instead, California’s doublespeak wordsmiths have decided to call it an “allocation-based rate structure” (which simply means that after you hit your ration limit, you are harshly penalized for any additional consumption). Allocation-based rate structures are the foundation of IRWD’s Water Shortage Contingency Plan. This rate structure allows IRWD to quickly respond to limited supplies through strong price signals, which result in the greatest conservation response from our customers. Translation: If we aggressively penalize people for exceeding their water allocation, they will seek to stay within the limits for the same reason that people try to avoid speeding tickets — nobody wants to pay the fines! As CA supplies nearly 50% of food for the country and farmers are going out of business, next year, when the water still doesn’t show up, and people want to grow their own food instead of lawns, they will be stymied by the new groundwater laws and strict reductive water rationing by the state. Food prices will go much higher, especially beef, due to the mass culling of steer this year because farmers cannot afford feed, and now water anymore. There has been an artificial cap on beef due to this one-time inventory glut on the markets, but once that is done prices will skyrocket much further north. Growing your own, getting to know a farmer, could be critical for you and family in the days, weeks, months and years ahead. One thing to be very very clear on is that the powers in charge know all this and are either letting it happen or creating this semi-natural (i’ll leave the Geoengineering aspects of this out for now but can read about it (here) yet designed crisis, just as food stamp money is cut, on purpose. Your government is anything but your friend. Know this.